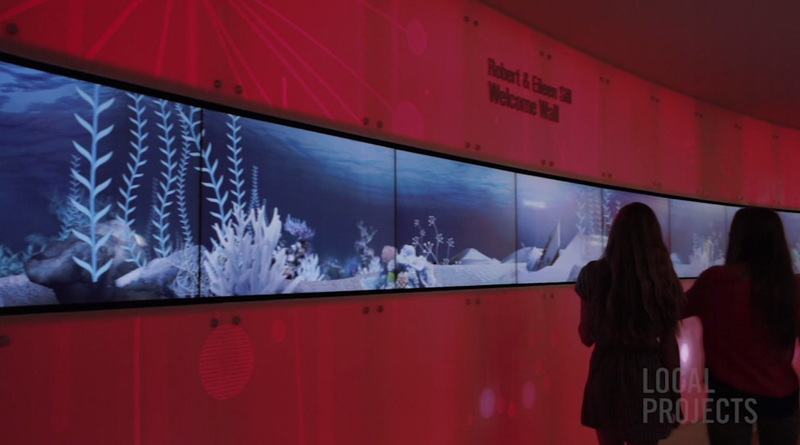 At Local Projects we designed an interactive wall at a University Hospital in Cleveland that offers teens and young adult patients an opportunity to immerse themselves in an experience removed from the reality of the hospital around them. The microtile-based interactive consists of a series of games embedded in a fantastical landscape, where visitors are encouraged to explore, make, and discover to reveal hidden elements. Setting out from a concert in a city resembling Cleveland, players can respond missions presented by characters in the concert landscape, and then venture out into one of games to accomplish the missions.